We no longer stock this product, but can recommend Hydron Mona-Guard Revive as a great alternative. 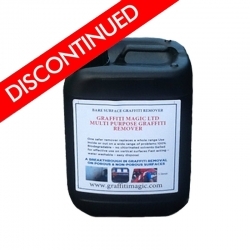 Thermilate PRO Tarmac Reviver & Sealer is available in black, red and green colours and unlike cheap bitumen products available in DIY shops, will totally rejuvenate and replace lost resins and colour from the tarmac. Thermilate PRO Tarmac Reviver & Sealer can be applied in one coat and is ideal for driveways, paths, car parks, etc. It is UV resistant which minimises deterioration and provides protection. 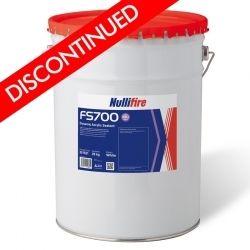 This tarmac paint, sealer and reviver is a coloured, non-yellowing & UV stable, single component, low viscosity product with fast curing properties enabling rapid return to service. 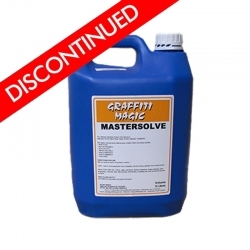 In addition to restoring colour, the adhesive properties of the resin will assist with aggregate bond and the inbuilt UV filter will reduce future colour fade. 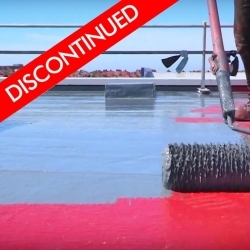 Its unique formulation makes it easy to apply and achieve an even, seamless, hard wearing finish that can be easily cleaned down and recoated for future maintenance. Protects re-growth of moss and algae. Waterproofs to reduce stone loss and fretting. 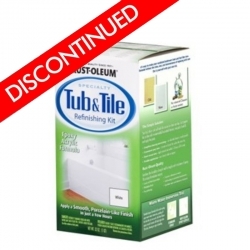 Totally durable and restores colour loss. Superior to artificial tarmac paint. 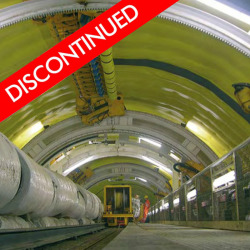 Single component – spreads easily and cures quickly for rapid return to service. Light to medium trafficked areas with correct maintenance and depending upon surface type and condition will last up to 10 years plus*. In external environment colour will remain for 1-2 years although protective effect will remain for longer, potentially 4-6 years, depending upon surface type and condition. 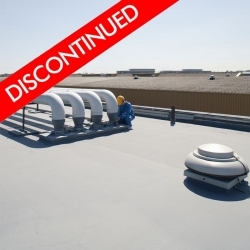 *A major design feature of this product is that it is easily re-coatable and does not need stripping before future treatment as maintenance coats cross link into original forming a monolithic layer. 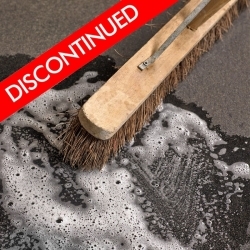 Recoating worn areas effectively means that the sealer may never need stripping and replacing. IMPORTANT: If you are a professional contractor please call 0113 2455450 or email [email protected] for special rates on this product and to find out more about becoming an approved applicator. Use as supplied without thinning down. 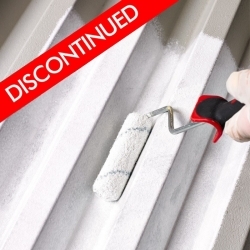 Surfaces should be clean, dry & free from oil, grease, dust, laitance and any other deleterious materials. Do not apply in temperatures below 5°C or above 35°C and should not be subjected to extremes of temperature until completely dry. 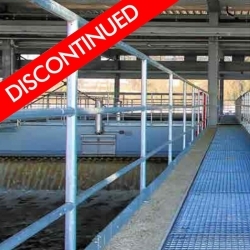 It is important to undertake a representative test area to ensure that the product is suitable for your requirements prior to commencement of the project and assessed for final appearance, chemical resistance and wet & dry slip resistance. This is particularly important where the surface has previously been sealed. Application should ideally be by an airless sprayer based products but application by brush or roller is also suitable (see detailed installation instructions). During application care should be taken to protect adjacent areas & equipment from overspray. The surface should be sectioned off to assist accurate coverage. Apply in thin uniform coats maintaining a wet edge but do not allow to puddle. Under normal conditions it will be touch dry within 1-2 hours and may be lightly trafficked after 24 hours. See the product data sheets for full details which can be downloaded from the product page under the 'Download' section below the main product description. No, chewing gum must be removed from the surfaces before application. Does it have good covering properties ie. will it cover and hide an old oil stain? The Thermilate PRO Tarmac Reviver & Sealer will cover most surfaces in one coat, however when changing colour or covering strong coloured stains a second coat may be required. Ensure the area is thoroughly cleaned then apply 1 or 2 coats as required to the entire area. Thermilate PRO Tarmac Reviver & Sealer can be applied by spray, the manufacturer recommends a 120 micron nozzle, and advises you may need to water down slightly to ease application. Application should ideally be by airless sprayer but application by brush or roller is also suitable. The pile of the roller would be dictated by the profile (roughness) of the surface. Does this product go directly onto just concrete patio area with no issues rather than tarmac? I am struggling to find a product that works and does not turn areas white. For exterior concrete we would recommend Rust-Oleum Tarmacoat. 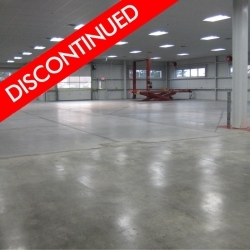 Hi, I have a tarmac car park area, the tarmac was laid onto an existing concrete base. The tarmac slopes away from the building however the concrete base slopes towards the building, at the moment any rain water permeates through the tarmac hits the concrete base and runs towards the building. Will this product stop water permeating through the tarmac? Thermilate PRO Tarmac Reviver & Sealer with two coats applied will seal the surface and prevent any water ingress through the surface. But that is only at the surface level, if the tarmac has gaps at the edges/joins, the water might still soak through the sides. Thermilate PRO Tarmac Reviver & Sealer is designed to be driven on but like any coating will wear over time with repeated use, but the system is easily maintainable with additional refresher coats. Question: In hot weather does this product go sticky like some bitumen based products? No, hot weather will not affect the surface of the paint. Approximately 2 hours @ 20°C. Question: Please can you tell me about the environmental impact of this product. Thank you. This information can be found in the products Material Safety Data Sheet (MSDS) available to download from the 'DATASHEETS' tab on the product page. Question: I have a very steep drive. Although the tarmac is quite coarse. Will Thermalite make it slippy when wet? Thermilate PRO Tarmac Reviver & Sealer is a matt finish but we would recommend you do a test area first to ensure before proceeding. 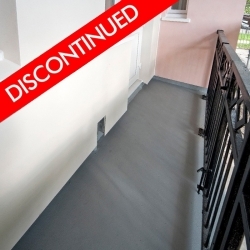 The Thermilate PRO Tarmac Reviver & Sealer will cover most surfaces in one coat, however when changing colour, covering strong coloured stains, or where heavier/frequent traffic is present a second coat may be required. Ensure the area is thoroughly cleaned, carry out any repairs required first and then apply 1 or 2 coats as required to the entire area. To apply 1 good coat to a 70 x 10ft drive you would require 40lts. If a second coat is required, an additional 30lts should be sufficient. The Thermilate PRO Tarmac Reviver & Sealer will cover most surfaces in one coat, however when changing colour or covering strong coloured stains a second coat may be required. Ensure the area is thoroughly cleaned (which it sounds like it is from your description), carry out any repairs required first with the Rust-Oleum 5410 Asphalt Repair you have suggested and then apply 1 or 2 coats as required to the entire area. Answer: In most instances the product can be applied in just one coat but if a second coat is required wait 4 hours at 20°C before overcoating. Question: my drive is part concrete and part asphalt can I use this product. tried twice with (Coo-Var W449 Driveway and Patio Paint) but fades after just one year. Answer: Thermilate PRO Tarmac Reviver & Sealer has excellent colour stability and should last a minimum of two years before requiring over coating to rejuvenate the colour. Question: My sons car ran over a litre of light coloured water based paint on our asphalt driveway. We jet washed the bulk of it off but there is still a lot of splash marks and lighter coloured tarmac. Will this product cover these marks? Answer: Yes it will, however allow for two coats. You can use Thermilate PRO Tarmac Reviver & Sealer to fill any repairs and cracks up to 3mm wide. Anything over this size must be filled first with a proprietary repair product (something like Rust-Oleum 5410 Asphalt Repair) prior to the application of Thermilate PRO Tarmac Reviver & Sealer. I have a black tarmac drive. Can I change the colour to red or green or will the black show through? Yes, but you must apply a minimum of 2 coats to ensure full coverage and colour. Question: My tarmac drive is slightly porous and drains quickly. Will treatment totally seal the drive and allow water to collect? Thermilate PRO Tarmac Reviver & Sealer does waterproof the surface so if applied thickly will completely seal your drive. If you wish just to rejuvenate the colour and not seal the surface to still allow drainage we would recommend applying one thin coat of the product diluted (up to 10% with water). I have a fairly recently laid ashphalt driveway. Is Thermilate PRO Tarmac Reviver & Sealer a product I could apply now to give protection against any stones loosening? How is it applied and when is the optimum time? Thermilate PRO Tarmac Reviver & Sealer can be used as you have described to protect your driveway but it is a water based product that should be ideally used when conditions are dry and temperatures are between 5°C and 35°C. It can be applied by brush, roller or squeegee. Question: Does Thermilate PRO Tarmac Reviver & Sealer fill cracks which have appeared in my tarmac drive? Yes, it will fill any gaps and cracks up to 3mm wide. Anything over this size must be filled first with a proprietary repair product prior to the application of Thermilate PRO Tarmac Reviver & Sealer. Can you apply Thermilate PRO Tarmac Reviver & Sealer on a tarmac drive that has cement stains on it? Yes, but you should ensure you clean as much off as possible first and allow to dry before applying the Thermilate PRO Tarmac Reviver & Sealer. 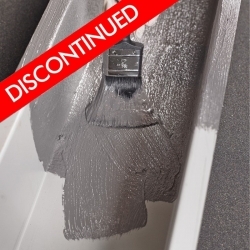 We no longer stock this product, but can recommend Jotun Hardtop Flexi or Sherwin-Williams Envirolastic 940 DTM as a great alternative. Unfortunately, we no longer stock this product. 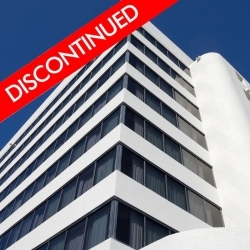 Please contact our sales team on 0113 2455450 for a recommended alternative. We no longer stock this product, but can recommend Sikafloor Level 30 as a great alternative. 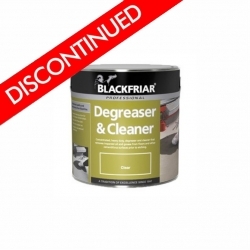 We no longer stock this product, but can recommend Zinsser Universal Degreaser & Cleaner as a great alternative. We no longer stock this product, but can recommend Britannia Fungicidal Wash Solution as a great alternative. We no longer stock this product, but can recommend Sikafloor 420 as a great alternative. Unfortunately we no longer stock this product. We no longer stock this product, but can recommend Tor Elastaseal Z Top Coat as a great alternative. We no longer stock this product, but can recommend Britannia One Pack Etch Primer as a great alternative. 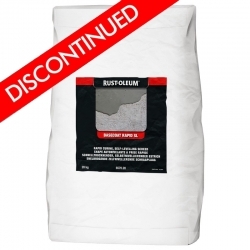 We no longer stock this product, but can recommend Britannia Aquashield High Build as a great alternative. We no longer stock this product, but can recommend Tor Elastaseal Z Accelerator Solution as a great alternative. We no longer stock this product, but can recommend Britannia Wallshield Eco as a great alternative.